The anti-gay hate group American Family Association announced this week that it would be officially ending its ineffective, three-year boycott of The Home Depot over the company's policies in support of LGBT people. According to AFA's director of special projects Randy Sharp (pictured), the boycott was ultimately a success, although he also failed to offer any specifics about what actions the company took that led to AFA's declaration of victory. We certainly do expect The Home Depot to deny that they have turned back their contributions to gay activist groups, but AFA has monitored the company – and actions speak louder than words. Back in 2010, AFA began the nationwide boycott of The Home Depot over the company's commitment to "furthering the homosexual agenda." 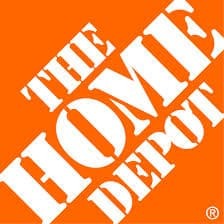 Executives at The Home Depot, however, remained committed to promoting diversity and continued to support organizations such as Out and Equal Workplace Advocates and the Human Rights Campaign. Indeed, Home Depot spokesman Stephen Holmes offered a response AFA's announcement this week, indicating that nothing at the company has changed since the boycott began. "We haven't made any changes to our policies for inclusion and respect of all people, regardless of their sexual orientation. We have not directed our associates to discontinue participation in Pride or other community events, and have no intention of doing so.